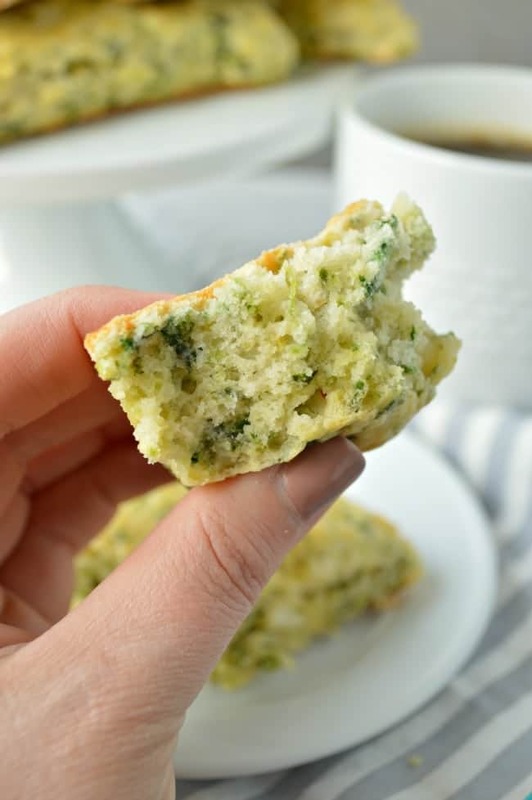 Spinach and Feta Scones are made with fresh sauteed spinach and crumbly feta cheese for a savory treat with a tender crumb. Oh hey, scones. It’s been awhile! I get a little carried away with brunch recipes in the spring. Those Croque Monsieur Rolls jump-started things and now we have Spinach and Feta Scones. This is a basic recipe that I use often, changing the add-ins up depending on my mood. There are a few really crucial tricks to making awesome scones, and they are the same tricks we use for making awesome biscuits (like these Apple Biscuits with Honey Butter Glaze). COLD INGREDIENTS. Work the dough as little as possible. Cold ingredients and only working the dough until the ingredients just come together yields tender, flaky buttery scones. That’s a skill you can take to the bank. Seriously — being the person that knows how to turn these out has never let me down. 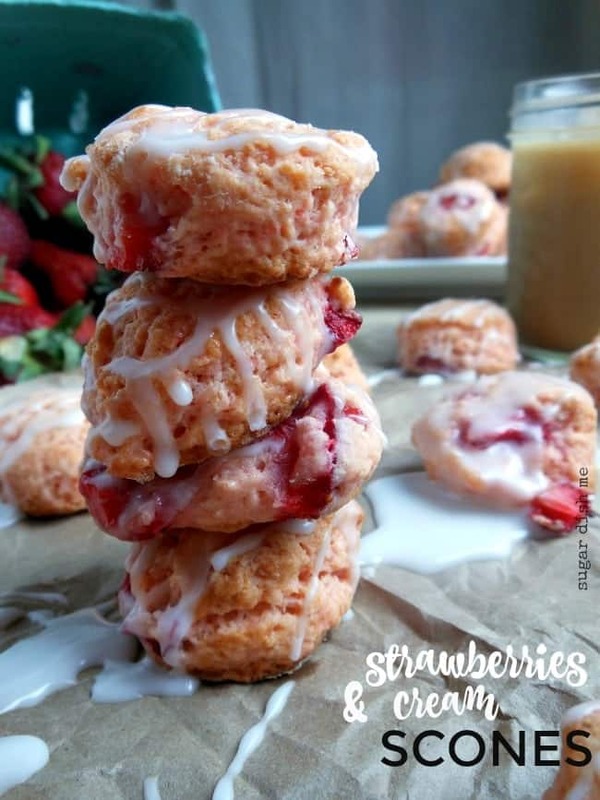 I used to sell these scones to a local coffee shop here where I live, and I still get requests for them (note: if you tote these to the hair salon for your 9 am appointment they WILL offer you mimosas). The spinach is sauteed ahead of time and then chopped so you don’t end up with strings of spinach between your teeth. 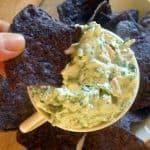 The feta is worked into the flour with the butter so you get a little bit of salty, creamy cheese in every bite. I really prefer these served warm, but they keep at room temperature for a couple of days. They are perfect with coffee and if you are looking for things to pass around the brunch table, they are pretty freaking perfect. 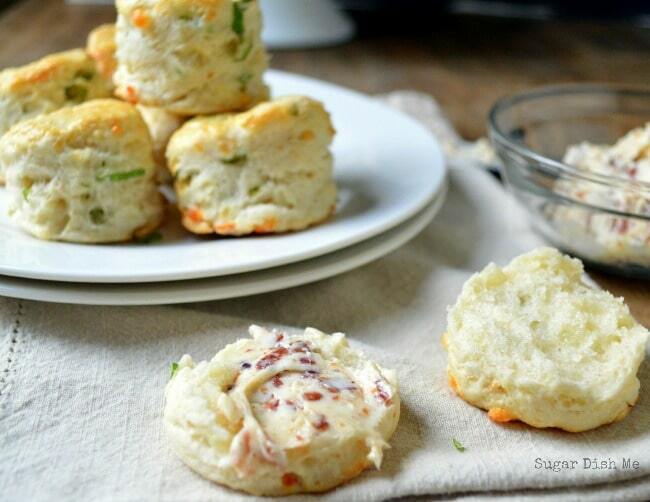 Sometimes I make them small like with these Spring Onion Scones with Cheddar and Bacon Butter. Either way – you’ll totally love ’em. 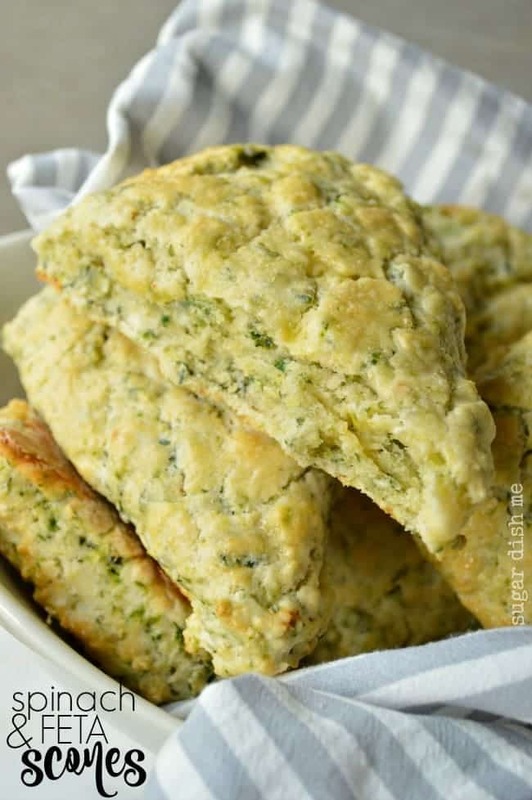 You’ve inspired me to make savory scones! 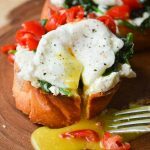 They look fabulous—I’ve made goat cheese biscuits so I’d love to try these swapping out the feta for goat cheese. My mouth is watering at the thought!!! Goat cheese is my jam! That sounds uhhh-mayzing. I actually can’t get your blackberry scones out of my head. 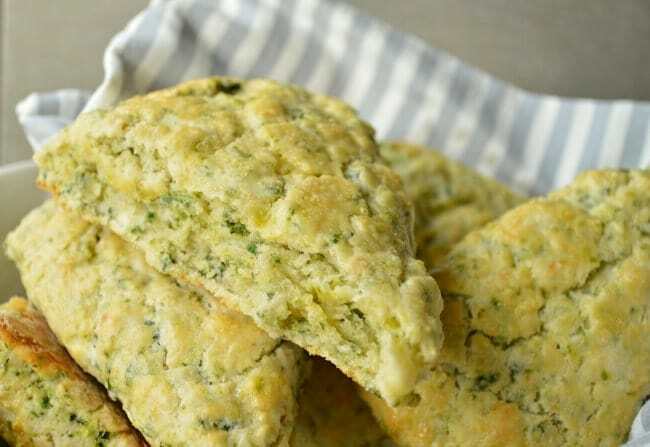 Savory scones are the best! Feta is a huge favorite. I love how GREEN these are! Thanks so much, Karen! And YES – I completely adore the color. All the green ???????? 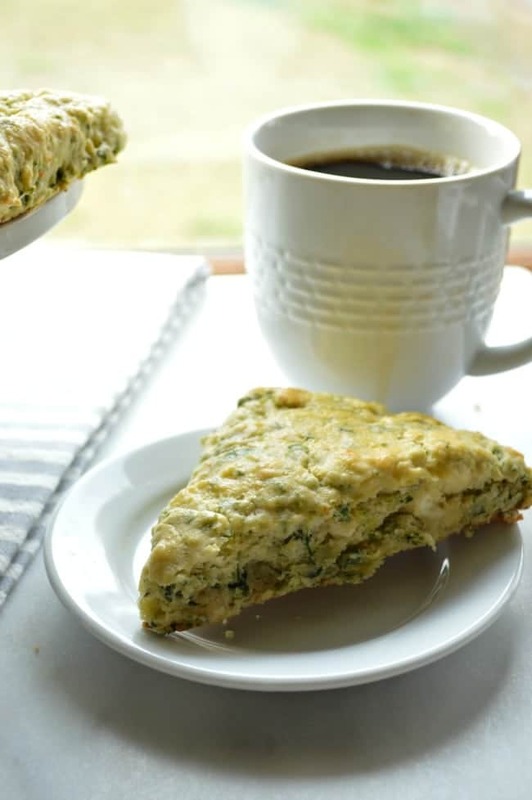 A savory scone with a cup of tea may just be the perfect way to start the day! 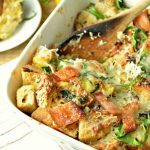 This recipe looks so wholesome and fresh. Count me in! 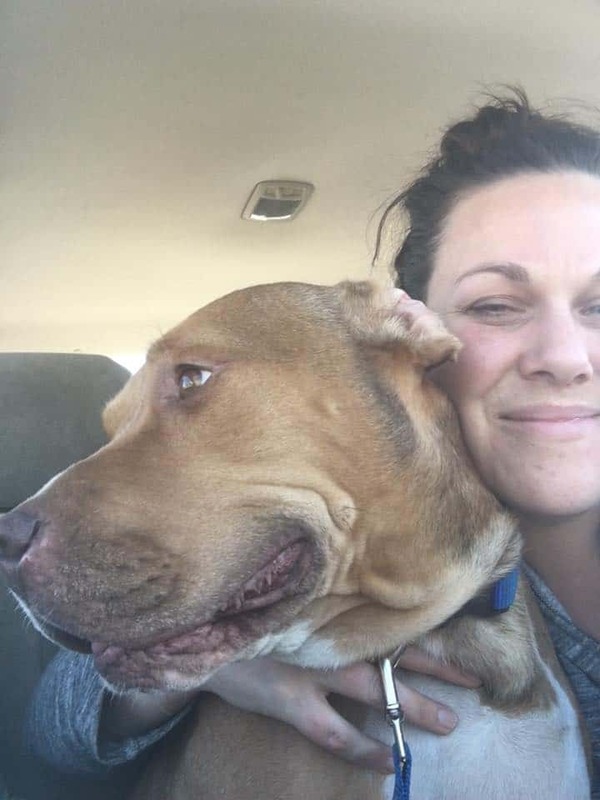 Thanks so much, Candace!! I need to make a strawberry version with that Cabot goat cheese, but to be honest I am kind of hoarding it. 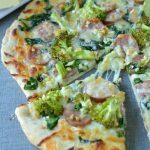 Spinach an cheese are winning combination ! Thank you so much ! 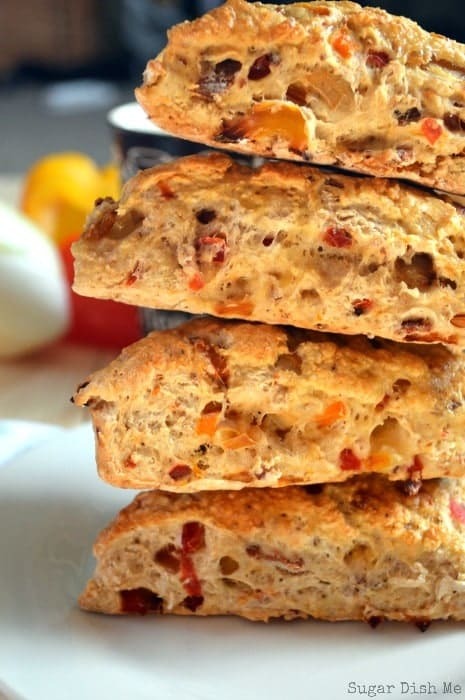 Scone and tea at morning are my favorite.Your scones look very tasty. I was made this yesterday and it tastes really delicious.